Biochar, a highly porous material produced from plant waste, is mostly used in agriculture as a soil conditioner, in livestock farming as a feed supplement, and in metalworking as a reducing agent. The latest developments at the Ithaka Institute are now focusing on its use as a building material. Why? As well as having excellent insulating properties, improving air quality, being able to soak up moisture and protect from radiation, biochar also allows buildings to be turned into carbon sinks. Every tonne of biochar used in a building’s envelope means that the equivalent of more or less one tonne of CO2 is prevented from re-entering the atmosphere. Biochar plaster can be applied to walls of a building using standard plaster spraying or rendering equipment. Applied at a thickness of up to 20 cm, it can be a substitute for Styrofoam insulation. Through the use of biochar-based insulation material, houses can become very long-term carbon sinks, while at the same time providing a healthier indoor climate. And should such a house be demolished at a later date, the biochar-clay or biochar-lime plaster can be directly used as a compost supplement, thus continuing the carbon cycle in a natural way. Such biochar-clay plasters adsorb smells and toxins, a welcome property in kitchens and for smokers. Alongside their use in housing, biochar-mud plasters are particularly suited for warehouses, factories and agricultural buildings as well as in schools, universities, hospitals and other rooms frequented by many people. It can also be assumed that an improved indoor climate has a positive effect on one’s ability to concentrate, for instance in meeting rooms, libraries, offices and classrooms. In addition, biochar is a very efficient absorber of electromagnetic radiation resulting from the use of both wireless technology and mains electricity. Thanks to Aaron for this tip. I imagine the biochar plaster is very dark (nearly black). Is it generally used as a base coat then, with another layer on top that is lighter? I would love to see some pictures of biochar plasters with different pigments–this may provide some interesting artistic opportunities. The original article explains how you can mix biochar with any color color, etc. What sources other than rice hulls are being marketed as biochar? Cotton seed hulls are available in our area but I am unsure how to turn them into biochar. You should be able to use lots of different biomass products — whatever is cheap and abundant in your area. With a little experience you’ll figure out what works best. I didn’t see anything on how durable or strong biochar plaster is, and that’s a key factor. This is a top coat plaster which is suitable for a great finish on all the other surfaces. It’s main purpose it to be used as a finishing plaster when there are a variety of different backing surfaces to be covered. This is similar to Browning plaster, apart from that it offers a higher impact resistance and is a quicker drying surface. This is the most commonly used undercoat plaster used these days and can be applied to most masonry surfaces. This is an undercoat plaster, so the first coat, or undercoat, that would be applied. After being trowelled off, it is scratched with a nail to give a ‘key’ for the top coat, or finish plaster to adhere to. This plaster has real ‘stickability’, without needed an absorbent surface to bond to. This is a cement-based plaster which can be used when resurfacing a wall after the installation of a new DPC. A full list of our different plaster types can be found on our Building Materials webpage. The link address didn’t work so I deleted it. I did some trails using biochar/cement for agricultural fencing posts, made from balsa biochar (very common feed stock in rural Ecuador). Very interesting concept. My mix was about 4:1 biochar to cement, no sand, using 5.5mm rebar in a 15cm square, tied at 50cm intervals. Once dried the post was light weight and seemed to be strong – I didn’t get around to really testing it, and only made a couple. My problem was getting sufficient biochar, I need to make a proper kiln… but then there is the opportunity cost, is it not better to use the char for soil improvement than in construction? I don’t know if I would use it for anything structural, but that isn’t the idea! It only makes sense where biochar is plentiful and readily available. 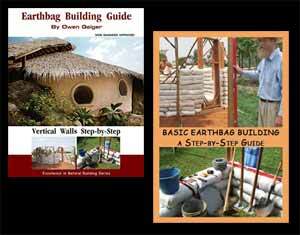 Same with any natural building method. very interesting. I have used charcoal in earthen plaster before and it was quite successful. I’ll be following this development. Great post. In my area biochar is a low cost by-product of drying rice at a rice mill. The rice hulls are first removed from the rice kernels. Then the hulls are turned into biochar with controlled burning. The hot air from this process slowly dries the rice. We spread biochar on our garden every so often to build the soil. They sound pretty confident about biochar bricks. I’d love to get more info on this. Hopefully they’ll write some simple open source directions for owner-builders like the biochar plaster article above (great job).